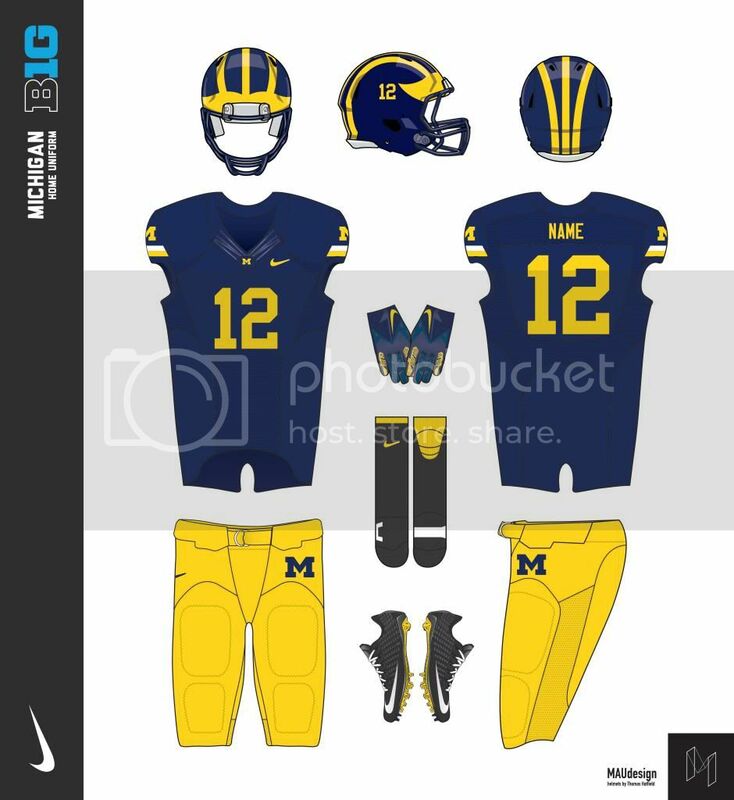 very rarely comment on concepts... but wow, Michigan looks incredible. 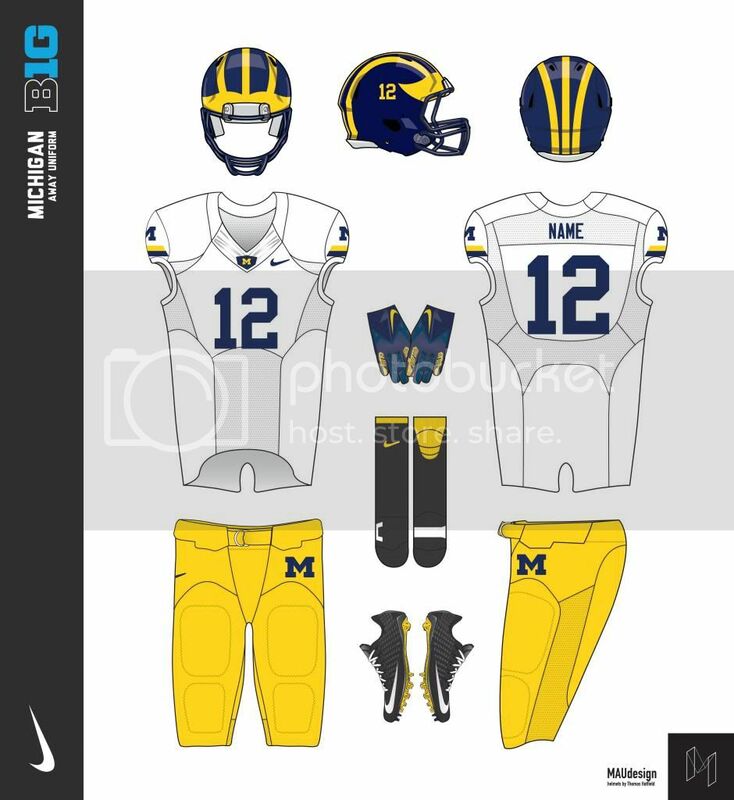 As someone who bleeds Maize n' Blue... 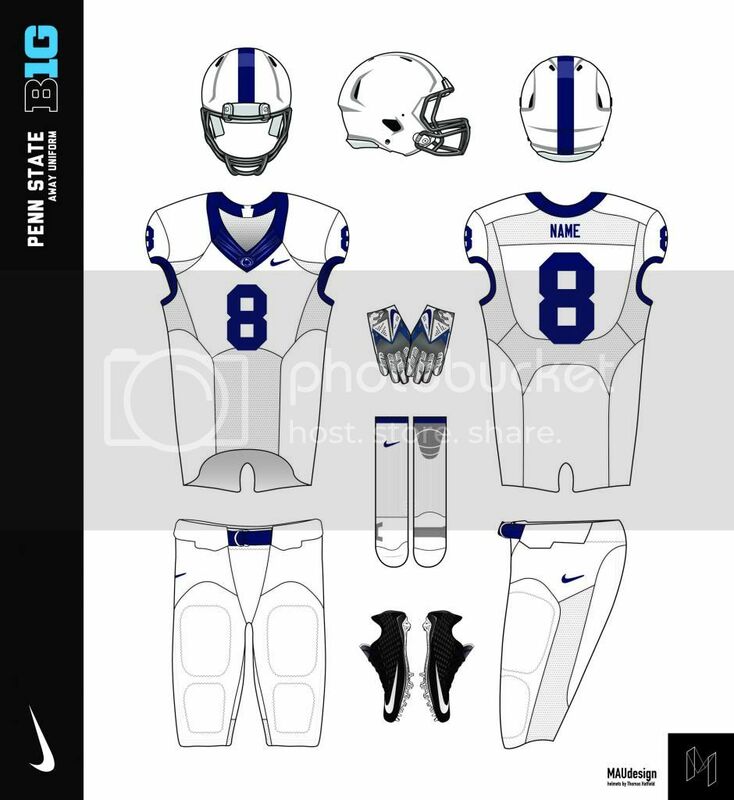 I don't mind the white in the home uniform at all. 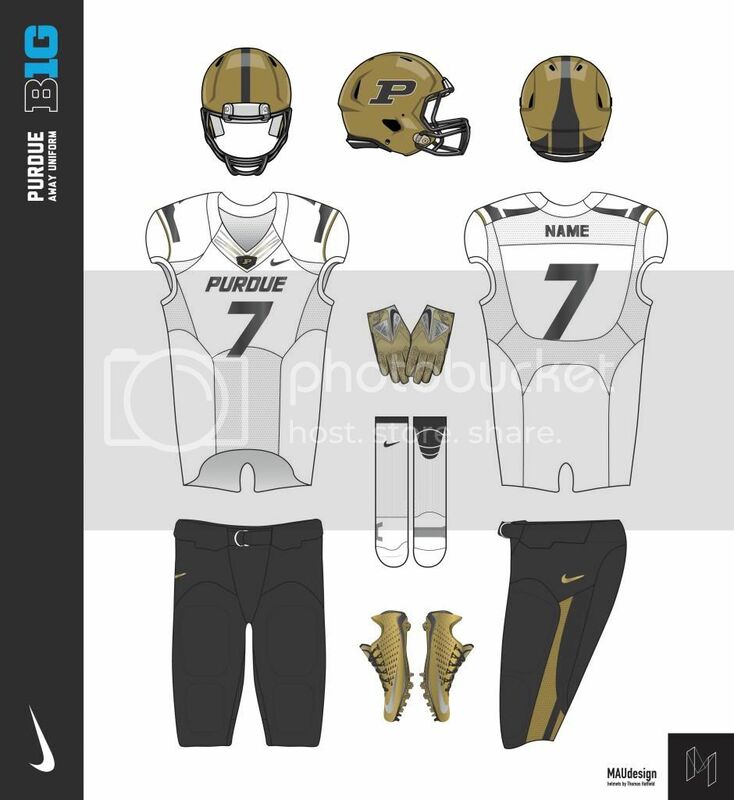 It's clean and appealing to the eye but, doesn't disrespect on the history of the program. Hey everybody sorry for the delay. 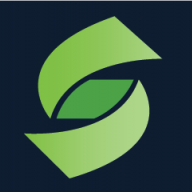 hopefully theres still some interest in this. Ive completed NW and have some work done on some other schools so hopefully ill be able to churn some of the others out in the near future. 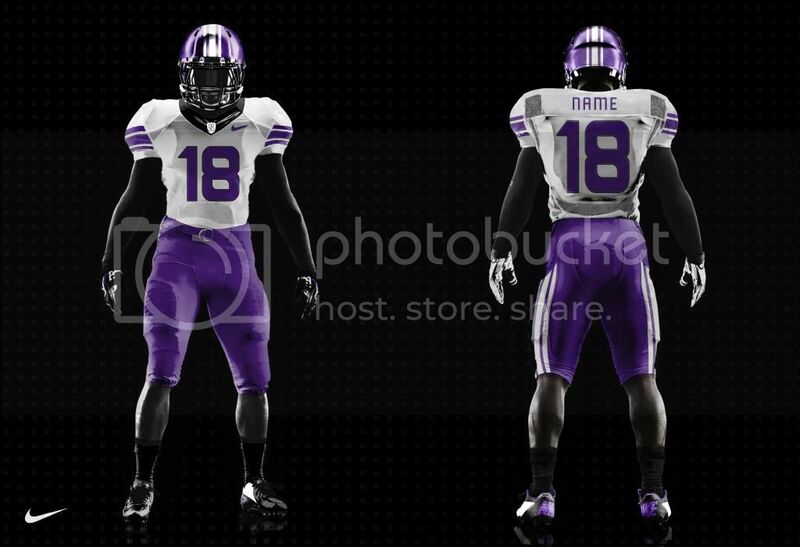 For now, heres Northwestern. 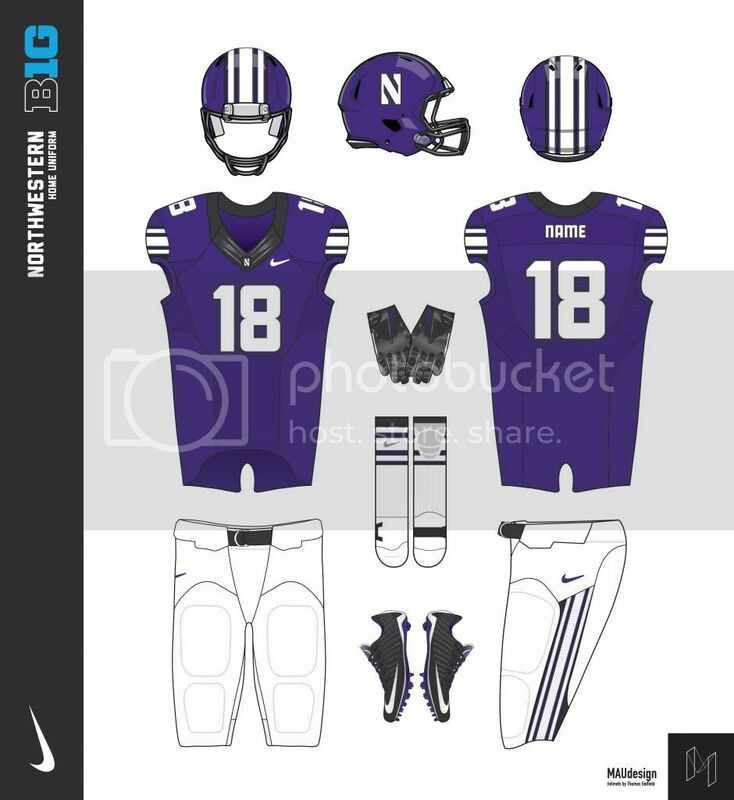 I really wanted to keep the Northwestern stripe the prominent feature without copying the current UA design, which im sure Nike wouldnt be able to keep if they were to redesign this set. The large center stripe is lined by two very small black lines to tie the third color into the whole set without overdoing it. 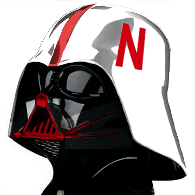 The stripe is also featured on the helmet. White and purple pants offer contrasting and monochrome options. A black set of pants would be available as well, i just didnt render it. 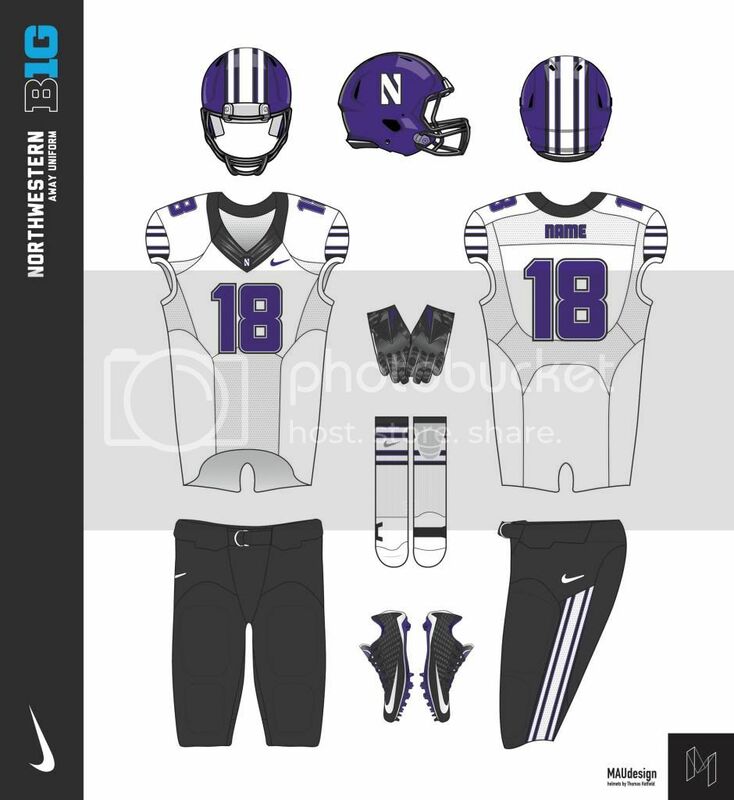 Any logo on the helmet for Northwestern? 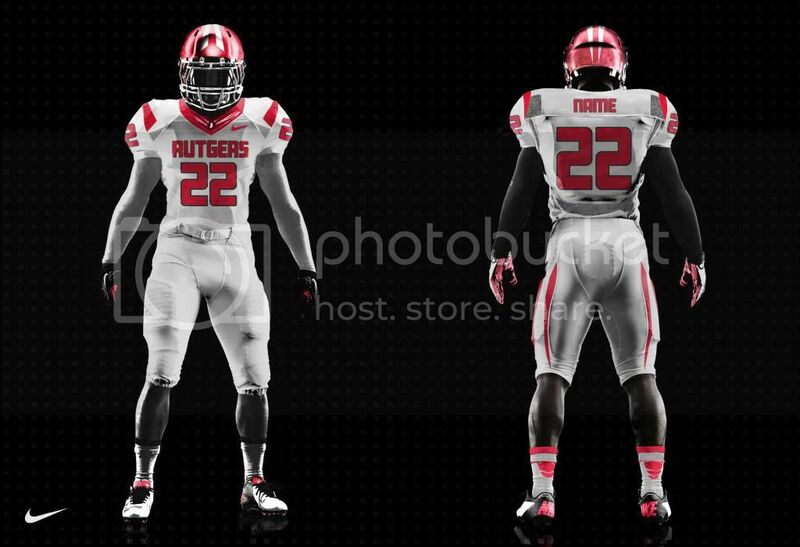 Also, put the pant stripe all the way up to the belt, and it'll look good. 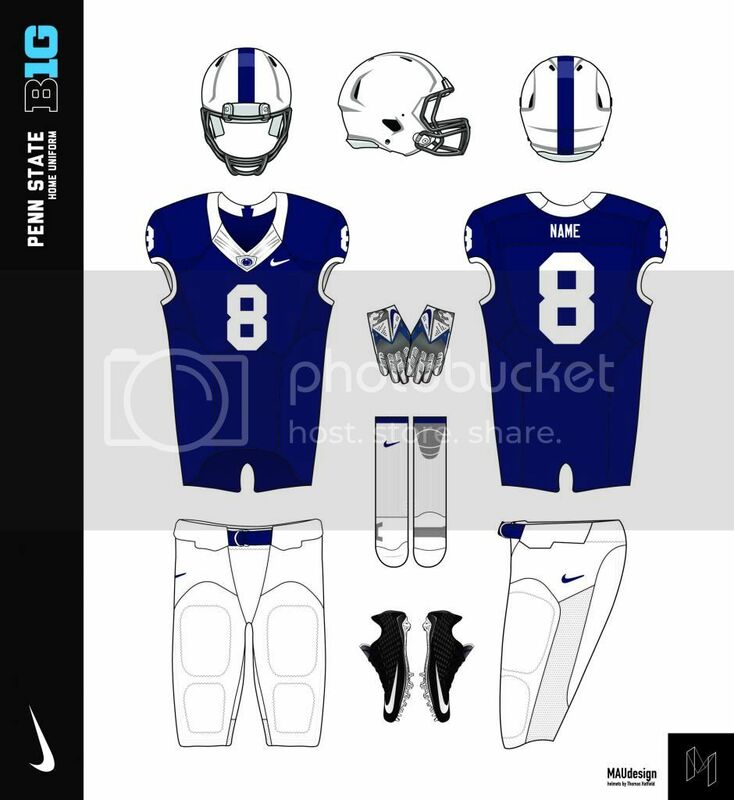 I loved the oversized collars they used to have that reminded me of Penn State's old jerseys so i brought them back in all of their speed machine glory. 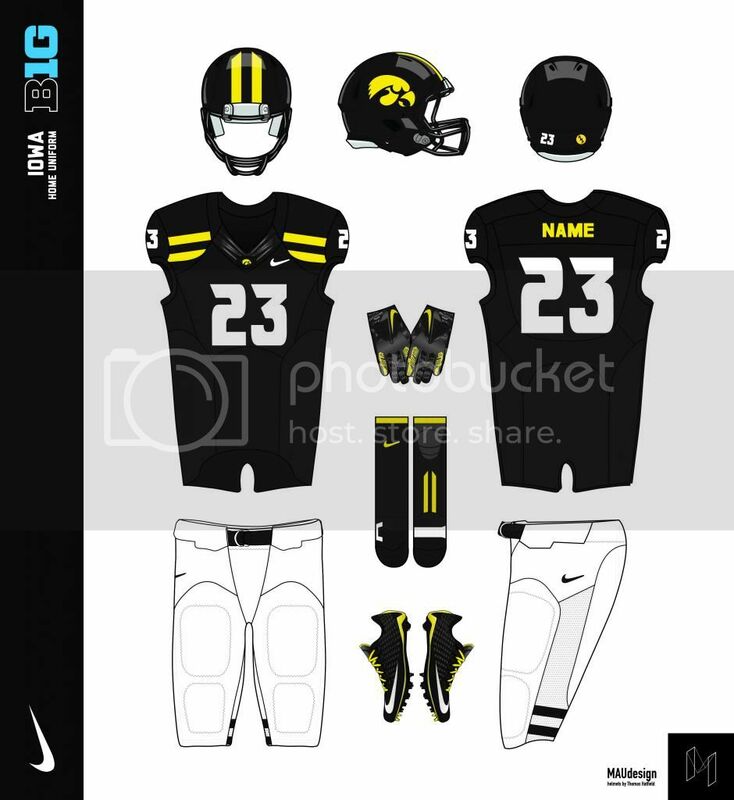 Anthracite outlines on the numbers and wordmark, as well as NOB. 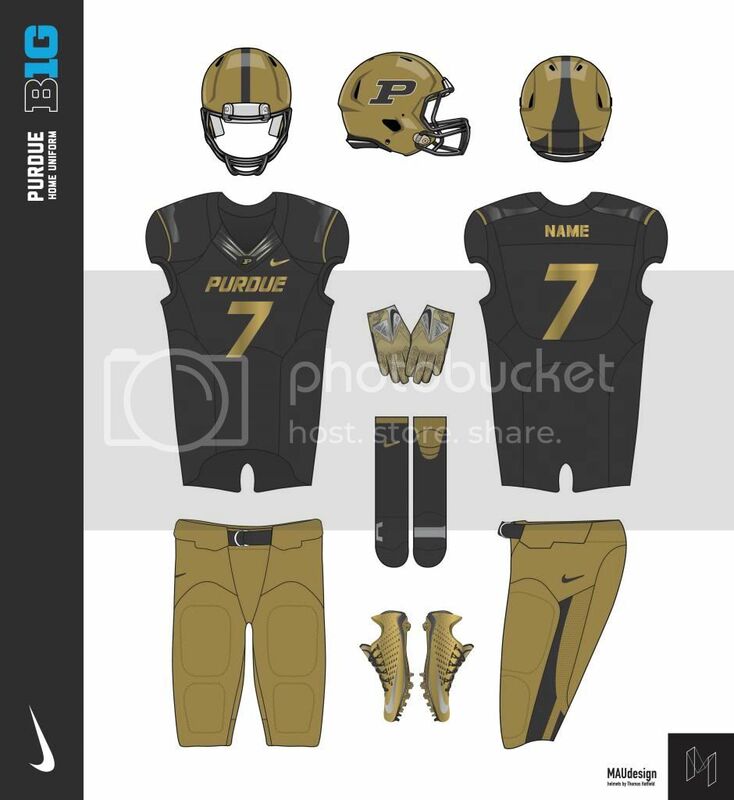 A new sharp, tapered stripe system now adorns the helmet, jersey shoulders and side of the pants. 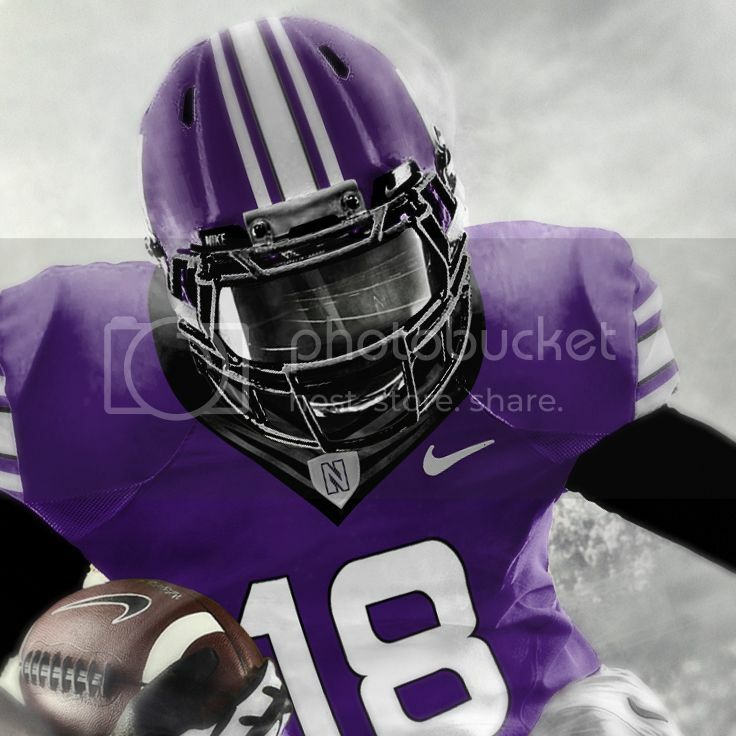 The Slab serif R logo occupies each side of the helmet and the right hip of the pants. 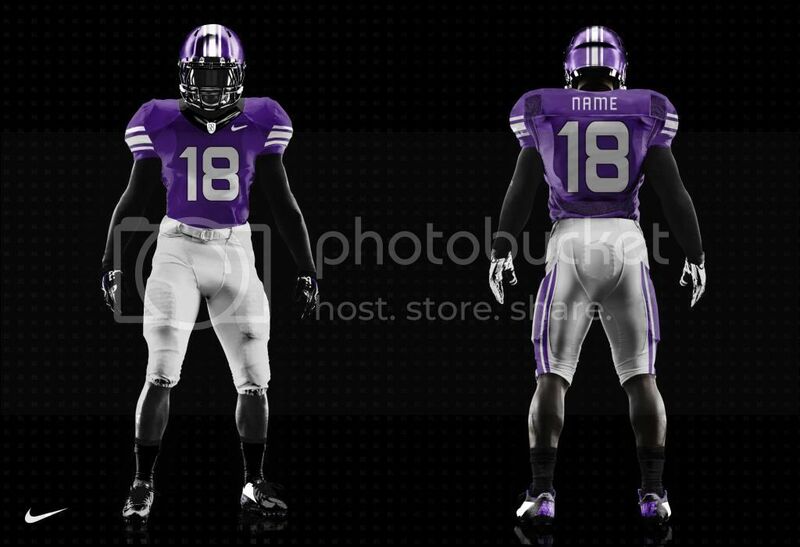 Really diggin these concepts. OSU comin up soon? I'm excited to see what you come up with those. 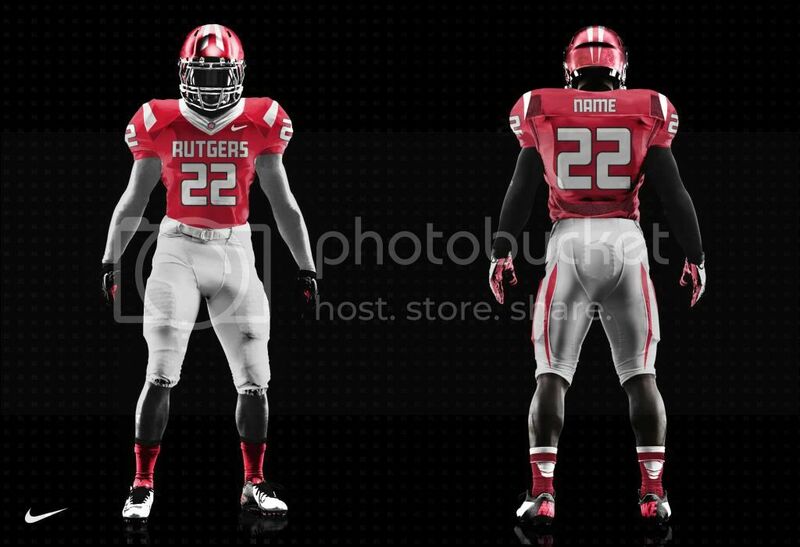 Rutgers looks excellent despite the pant striping. 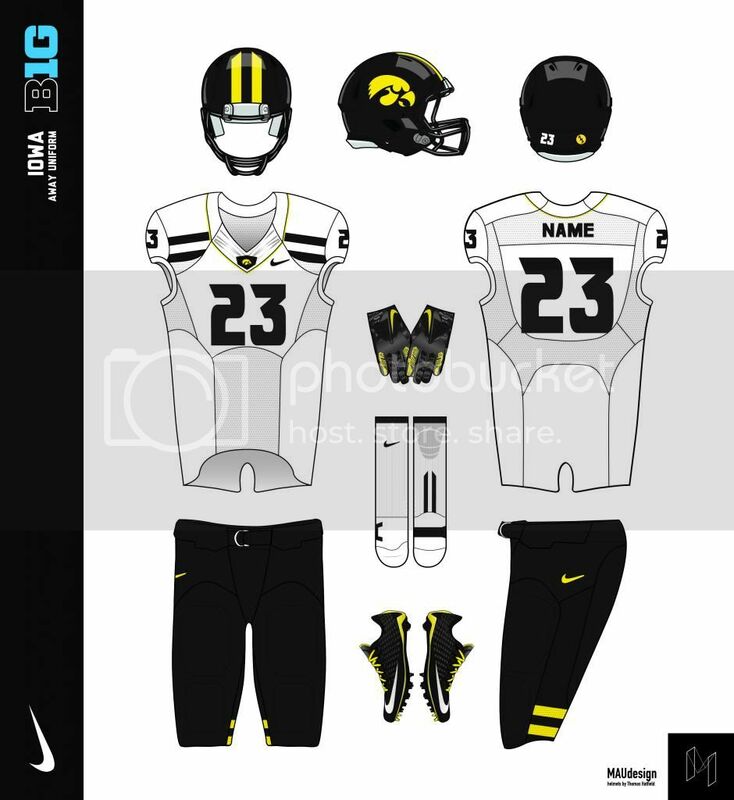 This is better than the current uniforms they have. Yeah, unfortunately there isnt a lot i can do about that haha. However, one my main goals throughout this project is to help distinguish one red team from another in the east. That's not unique to the Big Ten. Alabama, Arkansas, Georgia and to a lesser extent - South Carolina and Mississippi State are share a conference. 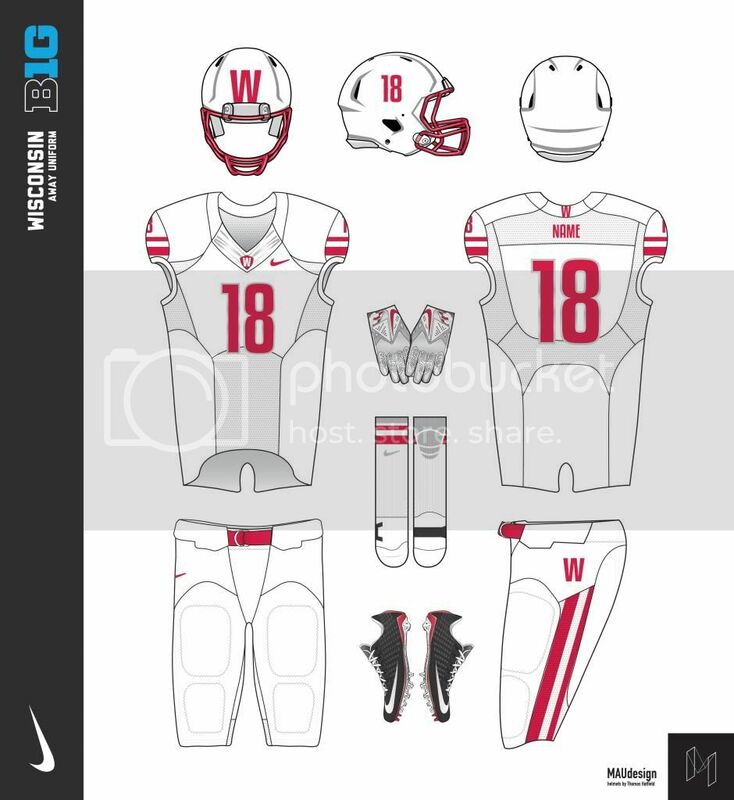 Red + White is a popular uniform combo because. I will grant you a case to be made about certain teams being too similar. 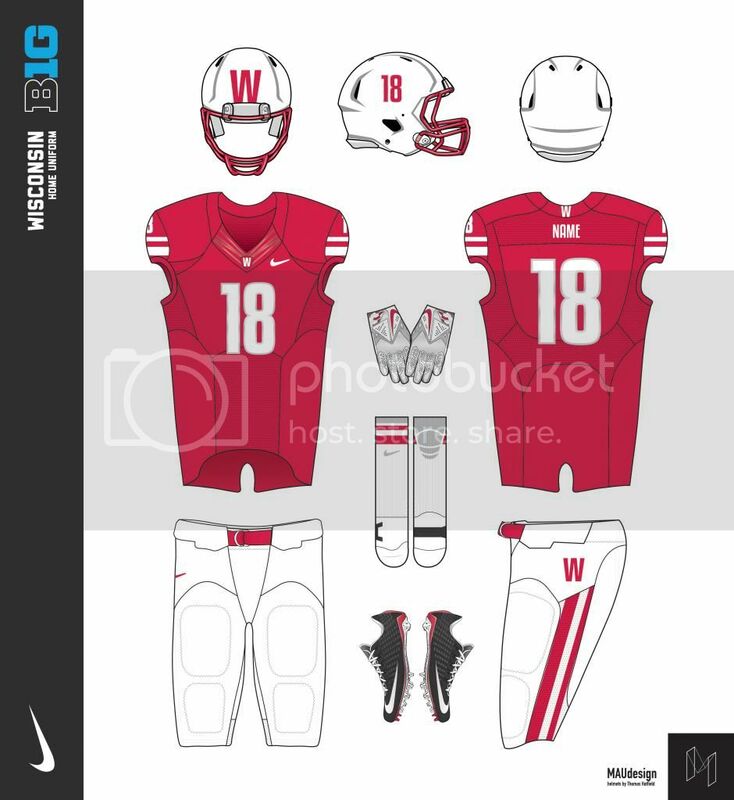 Wisconsin basically copied Nebraska's look and Indiana allegedly did the same thing with Oklahoma, which basically just makes the Hoosiers a version of Nebraska/Wisconsin with a red helmet instead of white. Slightly off topic, when the B1G expanded with Maryland and Rutgers, I proposed they put all the red teams in one division. Oddly enough, it splits up the big four (OSU/NEB and UM/PSU), plus it evenly splits Wisconsin/Minnesota from Michigan State/Iowa. Pretty fairly divided if you ask me. Also easy to remember which team is in which division. Not feeling that "W" for Wisconsin. I like the flying "W" better, but I certainly do think it's time for a Bucky head to make an appearance on an alternate helmet. I said it before and I'll say it again: I'd love to see a Wisconsin helmet with a front W that is just enormous, so large that it ends up almost looking like a wing-less Michigan helmet. 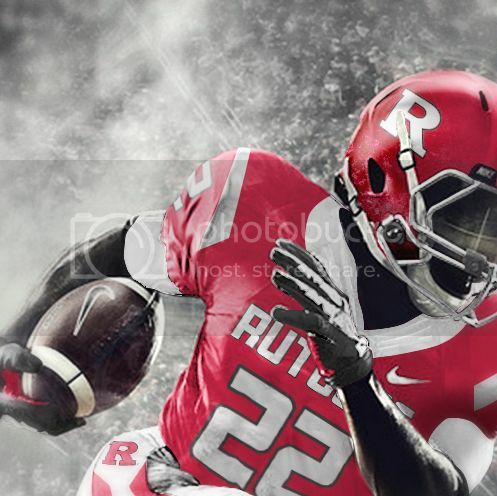 And to mjd77: Bucky is just too detailed for a helmet logo.